These are what I'm calling the Three Muscooteers. I met them on Middle River Road today, out for a spin on their Razors. 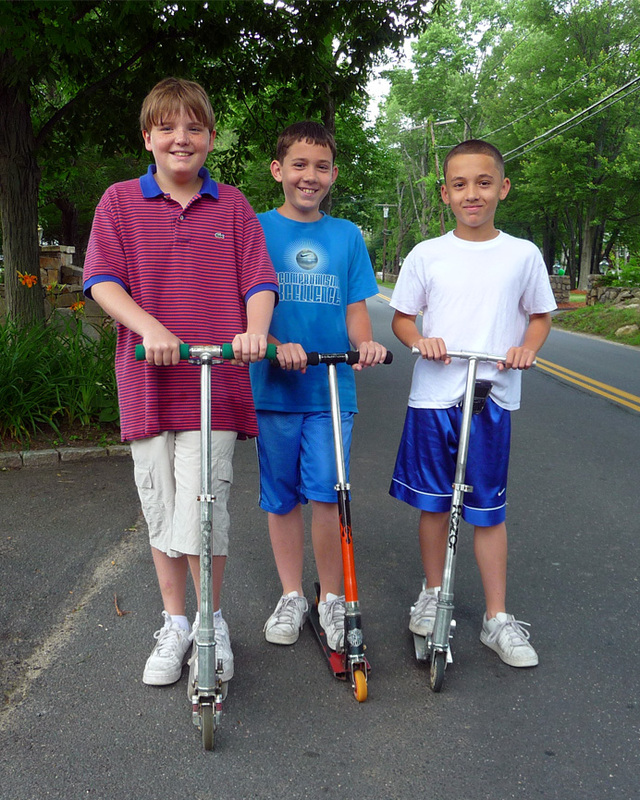 Left to right are James, Jake, and Kyle. I had a little trouble getting them to smile. First, I told them to say "Cheese!" That wasn't much good, so then I suggested "My sister is an idiot!" It worked perfectly. Don't you wish you were these boys' age again, knowing just a little of what you know now? You could change the world.